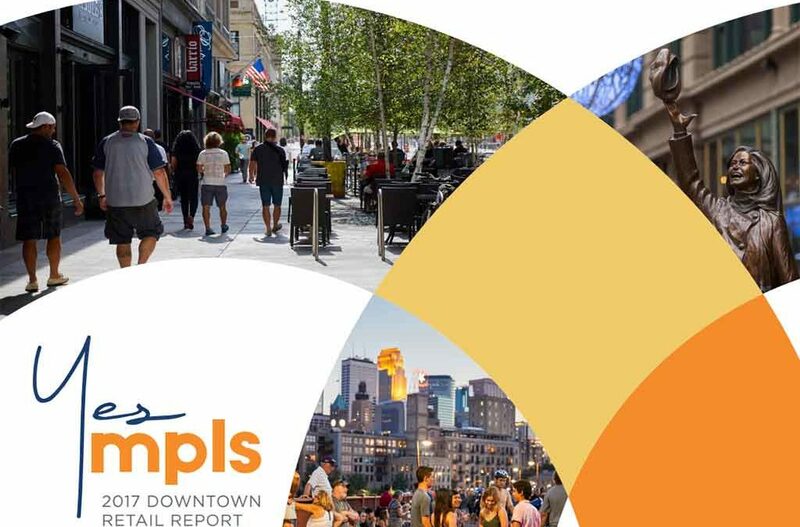 The mpls downtown council (mdc) and its partners announced today they are launching yes mpls downtown retail report, an initiative aimed at attracting brick-and-mortar retail to downtown—particularly along Nicollet between 5th and 10th streets. The initiative, a byproduct of mdc’s Intersections: The Downtown 2025 Plan’s retail task force, will be updated annually and serve as a tool to showcase downtown’s thriving environment, help fuel development strategies and attract business and retail to downtown Minneapolis. The retail report, which contains detailed breakdowns on development and investments, office market and workforce, mobility, residents, retail and restaurants, tourism and attractions and more, is designed to showcase why downtown Minneapolis is an attractive place for local and national companies and retailers. Now with a newly-redesigned Nicollet, the Dayton’s Project underway, renovations of buildings like RSM Plaza, Gaviidae Common and RBC Plaza #OnNicollet, along with the recent additions of HopCat, Devil’s Advocate, Nordstrom Rack, the renovated Target flagship store and others, it is an ideal time to begin new conversations about retail opportunities in downtown Minneapolis. The 2025 plan’s retail task force, co-chaired by David Frank and Jim Durda, first convened in late 2016 and brought together more than 30 individuals representing downtown’s retail community, property ownership, brokers, community partners and real estate entities, to develop a strategy for enticing retail to the city’s core. The first report, which contains 2017 data, is available online at mplsdowntown.com/retail-report. A 2018 report, which will be available in hard copy and online, will be completed in the coming months and will feature updated information aligned with new data that will be announced at the 2019 mpls downtown council annual meeting on Wednesday, February 13 at The Armory. The report was developed by the mpls downtown council, with support from the City of Minneapolis Community Planning & Economic Development department (CPED), and the Minneapolis Foundation. The report’s project management and design was done by Evans Larson Communications.